Directorate General of Sports Government of Khyber Pakhtunkhwa invites applications from suitable candidates of Khyber Pakhtunkhwa for the following positions mentioned against each Vacancy Assistant, BPS-16, Computer Operator BPS-16, Junior Clerk BPS-11, Junior Coach BPS-10. Directorate General of Sports Government of Khyber Pakhtunkhwa has assigned the NTS Testing service to commencement of test written/screening to evaluation of the candidates for the jobs hiring. Interested candidates who are fulfilling the eligibility criteria, Terms and Conditions shall apply by filling the prescribed NTS application form available at this page. These Posts are announced for the All Khyber Pakhtunkhwa where mentioned in posts location/ districts means KP including newly merged triable districts as well. You must download nts application form and fee deposited slip then fill the both carefully. and Pay fee deposited slip in the bank in the favor of NTS Respective department. Then you must send both to NTS testing service along with your attested testimonial. 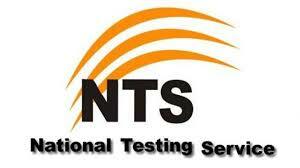 National Testing Service NTS will charge Rs. 460/- per candidate applying for single post because its test fee and each post test will be conducted separately. An applicant applying for more than one post should submit separate form along with fee. Form shall be carefully filled-in by the candidate since the provided information will be considered as final for further processing. Candidate shall be responsible for outcome of any wrong information submitted or late apply. Application form must be submitted to NTS along with fee deposited slip (NTS copy), attested copy of CNIC, and relevant academic/ experience certificates. 18-30 At least Second Class Bachelor’s Degree or equivalent qualification from a recognized University. ii. At least Second-Class Bachelor’s Degree from a recognized University with one year Diploma in Information Technology from a recognized Board of Technical Education. ii. a speed of Thirty (30) words per minute in typing. Note: preference will be given to International Sports persons in the relevant field. To get further details about KPK Govt Directorate General of Sports Jobs 2019 you must stay here at this page and if you didn’t get NTS Roll Number Slips then contact with us we will help you to get your roll no slips You NTS Test Result and Candidates List will be updated online.